This is an important critique of west-centric progress worship in South Korea and a profound analysis of different modernization and development paths in East Asia, with comparisons of South Korea, Japan and China. A significant contribution to the East Asia literature and a good read. This book keenly unravels very significant and under-represented aspects of Korean identity and world view in the modern era. One may barely grasp the Korean society and its development without reading this elaborate work. Introduction: What Is the Discourse of Seonjinguk? 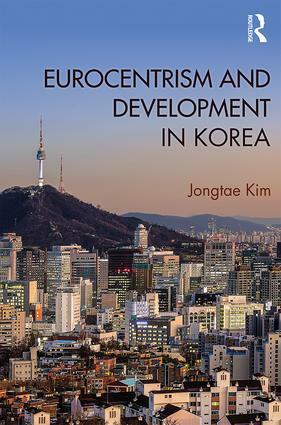 A Comparison of Regional Identities between Northeast Asia and Europe: The Constructions of "Self" and "Others"
Jongtae Kim is Humanities Korea (HK) Research Professor in the Asiatic Research Institute at Korea University, Seoul, Korea.